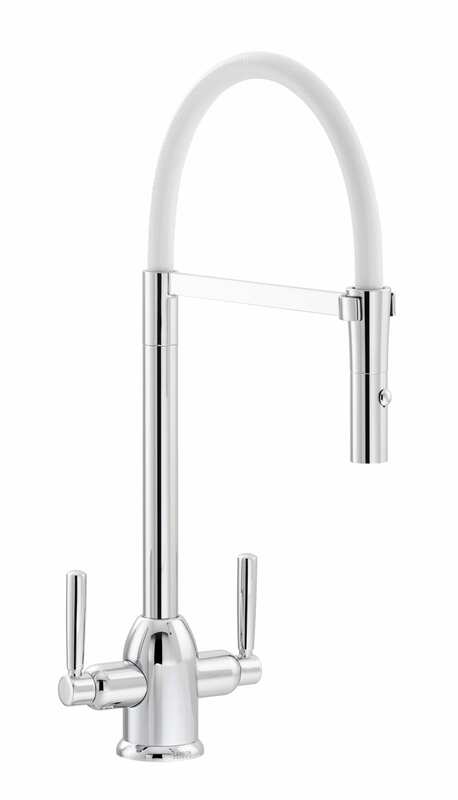 This tall professional style tap features a White silicone hose which can be used for directional control for large or multi-bowl sinks. Available in 3 other colourways: Black, Red and Grey. Ceramic valves. 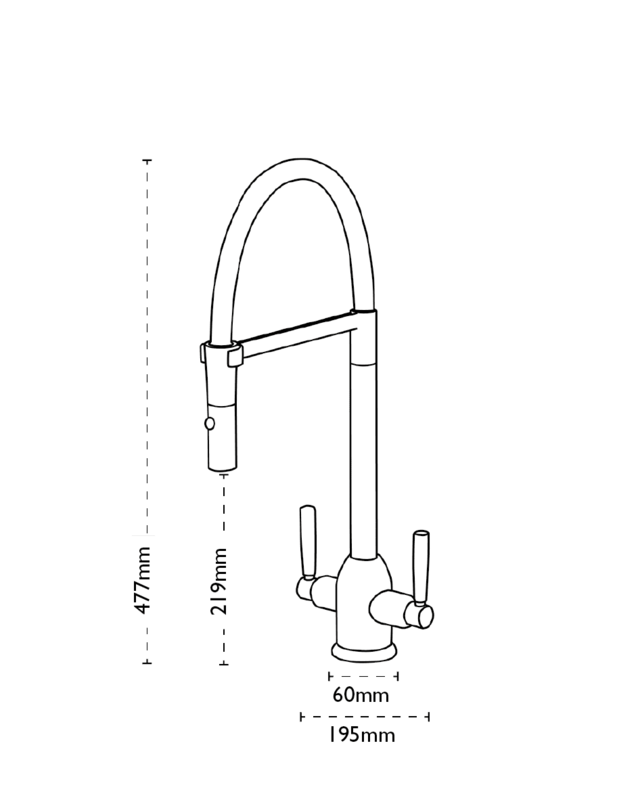 Dual flow tap. Lever action. Quarter turn action.